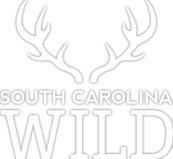 A journey through the years, and the pages, of South Carolina Wildlife magazine. Pee Dee native Lewis Rogers reflects on fishing trips with his friends during the 1950s and 60s, when improvising was the name of the game. Vintage shotgun aficionado Heyward Horton offers helpful tips in selecting a double gun, and sound advice for all gun owners. A few South Carolina families continue to grind and cook sugarcane to make syrup, using the trades and traditions passed down to them, and the savory recipes too! A fly-tying journey from South Carolina to Alaska. The Cooper’s hawk, named for William Cooper, a naturalist and one of the founders of the New York Academy of Sciences, is widely distributed, from southern Canada to Mexico. Hummingbird moths, or clearwing moths, seem to mimic the hummingbird’s signature feature, albeit with four wings rather than two. With bobwhite quail populations dipping year after year, an urgent call to action garners resounding support across the state. Big blue cats are a favorite with Santee Cooper Country anglers, and when it's time to weigh in, one local catfish guide, Captain Mouse, never comes up short. How to make a wing-bone turkey call. Ground-breaking research and round-the-clock fish rearing have generated a booming striped bass industry, and countless smiling snapshots, across the state. North America's most beautiful bird graces South Carolina's scrub-shrubs... but for how long? About twenty-eight years ago, a few college friends with a propensity for hard work and big fun created a fundraising event that offers everyone involved a blast... and a barbeque. Talking turkey takes practice and patience. Stick to the fundamentals, but when that doesn't work, here are a few tips I learned in frustration. In the obscure upper reaches of the Ace Basin, advancing spring triggers a renewal of life in the Salkehatchie Swamp. Sparked by the success of a library's observation beehive, Calhoun County is building strong support for their pollinator cohorts in a festive way. Traditions ingrained through decades of winter hunts create unforgettable memories and treasured camaraderie. In Search of "The Things with Feathers"
A keeper of history and nature, Lowcountry landowner Michael Finch is now part of an epic story and conservation timeline that continues to unfurl. The Eastern oyster's vital role in South Carolina estuaries is underscored by SCDNR Biologist Nancy Hadley, "Oysters are ecosystem engineers - they build habitat; they control water quality; they modify their environment. They are keystone species, like coral reefs. There were lots of whistles, claps, hand signals and laughs on the sidelines as South Carolina Wildlife editor Joey Frazier positioned himself along the Lake Hartwell shoreline to capture the fantastic photograph of the five Boykin spaniels featured on the SCW July-August 2017 calendar cover. Tourism groups partner with the SCDNR to promote fun in the Palmetto State. This adventurous guide to the scenic waterfalls of Oconee County meanders along a trail of jurassic proportions, revealing some of our state's most breathtaking gems. Winding earthen trails, colossal boulders and hand-hewn bridges provide a gateway into the Jocassee Gorges where geological formations, towering forests and plummeting waterfalls shelter countless plant and animal species - some yet to be discovered. Whether you call them crayfish or crawfish, crawdads or yabbies, most folks agree these little lobsters are worth the patience of plying ebony waters to catch a pot full. This Lowcountry tale takes us from swamp to table, complete with delectable crayfish recipes. A cold-weather specialist whose winterization process starts at the bottom, with fleshy, comb-like rows of bristles called pectinations that grow on its toes to help with walking on snow and clinging to icy branches. The "crrrrack" of a wooden bat and the "zzzzing" of a fishing line are sounds that time will stand still for here in the South. So whether you're on the field or on the water, getting away from it all is what it's all about. The mole is a digging machine, perfectly suited to underground travel. The American woodcock's mottled gray/brown plumage helps it blend in, but predator avoidance is still an issue when you spend most of your time face down. Having eyes in the back of your head wouldn't hurt. Aerial surveys of nesting areas help biologists keep track of migratory bird populations and trends. Carolina heelsplitter is a mussel found exclusively in some of North and South Carolina's river systems. Beauty, like success, is a matter of perspective, and sometimes the concepts intertwine. At the end of a boxing match, you don't have to be pretty; you just have to be standing. On an evolutionary scale, the single best measure of success and, arguably, of beauty, is longevity. Paddle boarding offers a new kind of challenge on top of the waves. For some South Carolina communities, investments in fishing and boating facilities capable of attracting national tournaments are paying off in more outdoor recreation tourism dollars. It really didn't hit me until the very end that we had just lived through a tornado. The DNR's sea turtle program plays a crucial role in restoring this endangered species in the Southeastern states. Manatees can eat up to 10 percent of their body weight in sea grass a day. Recreational divers immerse themselves in natural history to find fossils and adventure on the bottom of South Carolina's blackwater rivers. But how did the fossils get there in the first place? A single fly can carry more than a million microbes. The epic voyages of two late 19th century maritime adventurers both included stops at Murphy Island, today a part of the DNR-managed Santee Coastal Reserve WMA. Palm warblers can be found in brushy thickets, weedy fields, forest edges, fence rows, savannas and dune habitat. These images from the 2015 SCW/Hampton Fund Photo Contest offer viewers an opportunity to experience the beauty of South Carolina's natural world as seen through the lenses of these gifted artists. George Herron is South Carolina's most renowned maker of custom knives, but have you ever heard the story behind the design of his "interframe" folding model? Five time-proven lessons for pursuing "puddle ducks" in South Carolina's storied coastal plain rivers. The scientific evidence that coyotes are affecting deer populations in South Carolina is solid, and limiting doe harvests may be the only viable strategy for keeping deer numbers stable. Sometimes, survival hinges on being out of fashion. In the late 19th century, herons, egrets and many other shorebirds were slaughtered by the thousands for their plumes, which were treasured by the makers and wearers of ladies hats. But consider the wood stork, lacking in distinctive breeding plumage and therefore relatively safe. 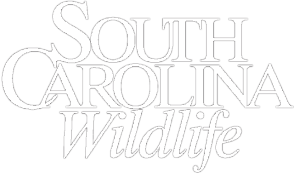 "South Carolina Native" isn't just a bumper sticker slogan for folks intent on letting the drivers behind them know where they were born; for the members of the South Carolina Native Plant Society, it's a serious topic that involves fighting real threats to our indigenous flora. Professional bass fishing is growing by leaps and bounds, with all the money and attention that entails, but for these three pros with South Carolina roots, family, community and getting more young people into the sport is still the name of the game. Wasps of all kinds have earned the respect of humans (as well as some degree of fear), and our awe hasn't diminished. Earthworms are sold as fish bait and pet food, and for composting and gardening. The robin is among the most abundant bird species on the continent, with a population estimated at more than three hundred million. If it's January, it must be time to showcase the winners of the 2014 South Carolina Wildlife-Harry Hampton Wildlife Fund Photo Contest and Exhibition at the Palmetto Sportsmen's Classic. I have been a fan for many years. I recently noticed your "Trip Report" feature and that gave me the idea to contact you. I'm an agricultural education instructor at Pendleton High School. For the past four years I have provided what I call a "Coastal Ecology Field Experience" for my Wildlife Management/Environmental Natural Resources students. With the help and friendship of an excellent SCDNR wildlife technician and education specialist, Mr. Jim Lee, and many others, we have created a life-changing experience for these students. I like rivers; they start somewhere small and wander for miles flowing somewhere. The "somewhere" for the section of the Saluda River that forms the boundary between Newberry and Saluda counties is Lake Murray, which was created in 1930 when the river was damned to create a 50,000 acre reservoir. I love the part of the Saluda River that forms the lake's headwaters; it's very accessible and beckons you to follow it upstream. If you start, like I did, at Blacks Bridge outside Prosperity, with your destination being the Buzzard's Roost Dam at Lake Greenwood, it will take you approximately 22 river miles to meet that goal. "Imagine 2,000 evocative images, generated from numerous road trips along miles and miles of South Carolina highways and back roads. Sometimes bats catch insects in their mouths. More often, they catch them with their tail membranes, which act as a scoop or net. X marks the spot for bobcats on South Carolina's Kiawah Island. We're taking it outside and into the great South Carolina outdoors, and so should you. Mastering the ancient art of calling game is like making it to Carnegie Hall . . . there's only way to get there. Hunting Island State Park (HISP) is known for its lighthouse and beach, a popular summertime destination for Beaufort-area locals and thousands of visitors, but the park also offers some terrific opportunities for wildlife-viewing and photography in the spring, fall and even winter, as we found during our two visits with park volunteers David and Lyn Price and members of the Aiken and Atlanta photo clubs. But bees will sting me! The following journal was compiled during ten days of travel by canoe and kayak on the Lynches Scenic River. The purpose of the trip was to compile information and data to include in the DNR's Lynches Scenic River Water Trail Guide. On day one on the trip, I was accompanied by Elizabeth Ossier; a DNR fisheries biologist with Region II, Kelly King, a DNR 2008 summer intern; and Jennie Williamson of the Pee Dee Land Trust. Kimberly Meitzen, a 2008 DNR summer geomorphologist with our Geology Section, and myself paddled the entire trail. A Tropical Brew...Hurricane Season Here to Stay?